Hi there! 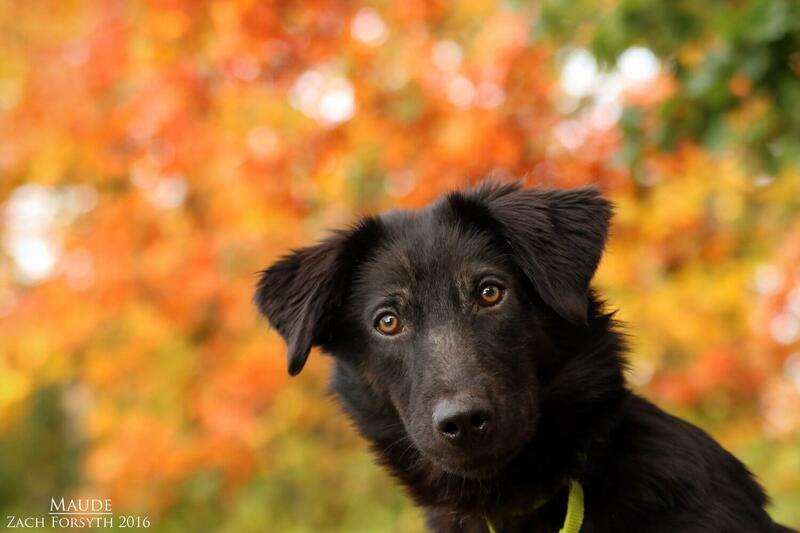 My name is Maude and I am a super cute 6 month old Border Collie mix. I am always optimistic and just LOVE life and everything about it! I have a lot of energy and prefer to stay active and just love my afternoon walks with my Pixie friends. I betcha I would even be a fantastic runner to join you on your morning jog! Being a quick learner, I am sure I would exceed with flying colors in an agility class. Is playing Frisbee more your thing? I can even learn that too! PUPPY CLASSES ARE MANDATORY FOR MY ADOPTION! I am really looking for someone who has the time and experience to teach me a brand new back of tricks. A backyard to run around in would be nice too! Whether its my other puppy pals or my humans friends over the age of 10, I am also very affectionate and love to snuggle up after a long day of adventures. Racing past the finish line, I long to win the first place prize–your heart! Fill out an application today, so we can meet! I come to you spayed, vaccinated, and micro-chipped with an adoption fee of $300.